• Sběratel.com » Minerály » Týždenný prehľad zaujímavostí vo svete diamantov . Tedy, chtel bych moc podekovat fsem dyzkuterum. Moc krasne jsem si v tom pocetl. Ne ze bych vsemu rozumnjel ale vetsinou jsem vse pochopil. Hlavne ta englistina mi dala zabrat. Ale stalo to za to! Jsem moc rad, ze se zde najde tolik fundamentoznich spicialistu. Myslim, ze minimalne v morgoskych dezamantech mam ted jasno. Dekuji. Market preparing for Hong Kong show, with concerns that trade tensions and yuan devaluation will impact buying. Chow Sang Sang warns China trade war could reduce future earnings, after 1H sales +19% to $1.2B, profit +54% to $77M. Record-low rupee (INR 70.75/$1) creating concern in India.Cutters shifting away from melee due to lower demand in India and China amid currency declines. Steady demand for rough that yields under-the-carat GIA dossiers as cutters prepare for holiday season. Alrosa 2Q sales +2% to $1.1B, profit +1% to $379M. US market optimistic. Tiffany & Co. 2Q sales +12% to $1.1B, profit +26% to $145M. Signet 2Q sales +2% to $1.4B, loss of $31M vs. profit of $85M. Fancies: Far East demand improving as Chinese consumers seek Pears and Princesses at better prices. US and European demand mixed. Ovals and Cushions are best sellers, followed by Emeralds and Pears. Marquises and Princesses weak. Oversizes selling well. Steady demand for fine-quality 6 to 10 ct. Ovals, Pears and Emeralds, with prices firming for 3 to 5 ct. due to shortages. US supporting market for commercial-quality, medium-priced fancies under 1 ct. Off-make, poorly cut fancies illiquid and hard to sell, even at very deep discounts. United States: New York wholesale market relatively slow for smaller dealers. Larger suppliers expecting orders from retail chains. Others selling at low profit margins to raise liquidity and move inventory. Stable demand for 0.30 to 1 ct., G-J, VS-SI, RapSpec A3+. Jewelers optimistic for final four months of the year. Belgium: Trading quiet, as dealers not yet out of vacation mode. Caution about doing business in India due to bankruptcy rumors and liquidity concerns. Activity expected to improve as businesses prepare for Hong Kong Jewellery & Gem Fair, which begins September 12. Many traveling to the show to assess the Far East market amid US-China tensions. Rough trading steady ahead of next week’s De Beers sight. Israel: Bourse quiet, but dealers upbeat about Hong Kong show. Weak demand for lower-quality small goods. Stable demand from watch industry for top-quality melee. Strong demand for 1 ct., G-J, VS-SIs, while 0.30 to 0.50 ct. slower than before August break.Rough market active during Alrosa auction in Ramat Gan, but manufacturers waiting to assess prices at De Beers sight (September 3 to 7). India: Stable market, but dealers concerned about reduced bank credit, as well as currency devaluation after rupee hits record low (INR 70.75/$1). Strong demand for nice SIs. A lot of weak SIs available. Suppliers holding prices firm for certified goods. Manufacturing expected to remain steady until November Diwali break. Hong Kong: Dealers focused on show preparations. Sentiment relatively weak in August due to trade tensions and yuan depreciation. Jewelers more cautious for 2H after positive first half. Dossiers selling well. 1 ct., D-H, VS1-SI improving. Rising interest in fancy-color diamonds ahead of September show. Diamond industry focused on important Hong Kong fair, hoping the recovery in Far East jewelry retail will continue amid trade tensions and weaker currencies. Dealer trading slow, with softer prices during summer slowdown as 1 ct. RAPI -0.5% in August. Rough demand cautious, with lower premiums on secondary market. Gem Diamonds 1H revenue +81% to $168M, profit of $24M vs. loss of $3M last year. Hong Kong 1H polished imports +4% to $9.7B, exports flat at $6.7B. Equity firm Epiris buys Bonhams auction house. Rapaport offices will be closed on Monday and Tuesday (September 10-11) due to Rosh Hashanah. Best wishes to all for a happy, healthy, prosperous and peaceful Jewish New Year. United States: Trading quiet in shorter week that began with Labor Day.New York dealers expecting slow activity until after September Jewish festivals. Fewer memo orders from retailers. Stable engagement-ring demand for 1 ct., G-J, VS-SI diamonds. Major jewelers optimistic for fourth-quarter holiday season, with marketing focus on fashion diamond jewelry. Belgium: Cautious sentiment due to slow trading, India bankruptcy rumors, and decline of rupee, Chinese yuan and Turkish lira. Gap widening between buyers’ offers and suppliers’ asking prices. Steady demand for 1 ct., D-J, SI2 goods. Very little inventory-buying. Rough dealer premiums soften during De Beers sight. India: Slow trading, with some dealers missing the Hong Kong show due to next week’s Ganesh Chaturthi festival. Sentiment down following rupee depreciation to record low (INR 72.10/$1), bankruptcy rumors and tightened bank credit. Small manufacturers cautious and reducing polished production. Drop in demand for small polished diamonds evident in rough market at De Beers sight. Hong Kong: Business improving ahead of next week’s show. Steady demand for 0.30, 0.50 and 1 ct., D-G, VS-SI, RapSpec A3+ goods. Rising interest in lower colors (G-K). Hong Kong jewelers more upbeat than those based in mainland China as weaker yuan impacts consumer sentiment. Currency may also affect tourist spending over October 1 Golden Week. to Bajkal ; desať rokov v kyber priestore je dlhá doba a hlavne udržanie aktívneho vlákna , informácie som preberal a vkladal z Rapaportu v originály , hlavný dôvod prečo som to robil: bola doba kedy kopec "mesiášov" denne vtlkalo do hláv ľudom o zázračnom a pravidelnom obrovskom zhodnocovaní hlavne diamantov - ja som to bral ako sofistikovaný podvod . Drahé kamene sú dobré uloženie volných finančných prostriedkov , ale na zhodnocovanie to funguje úplne inak a i iných objemoch . čo odhadujem urobilo maximálne 0.3% . Dnes je bezplatná dostupnosť vysoko profesionálnych vebov na informácie a komentáre o cenách a drahých kameňoch ďaleko vyššia , ale ja komentáre stále dodávam z nostalgie a baví ma to. Neviem či to postačuje ako odpoveď ? Hong Kong fair opens to steady traffic. Suppliers hoping Chinese demand will return after slowdown of past few months. Buyers focused on 0.30 to 1 ct., D-J, VS-SI GIA-graded diamonds, and testing price levels at start of the show. Melee weak. De Beers lets sightholders defer small and lower-value rough at $505M sight. Alrosa Aug. sale +14% to $295M amid shift to higher-value goods. Rough premiums fall to between 2% and 3% on secondary market. De Beers estimates 2017 global rough sales +2% to $16.6B, production +15% to $17.5B, diamond-jewelry demand +2% to $82B. Insight report notes millennials and Gen Z account for two-thirds of demand.Chinese firm Fosun buys 80% of IGI. United States: Dealer market quiet, with many New York businesses closed Monday and Tuesday for Jewish New Year. Steady demand for 1 ct., G-J, VS-SI, GIA-graded diamonds. Rising expectations for holiday season. Jewelers modernizing their marketing with focus on omni-channel platforms. Belgium: Local trading slow as focus turns to Hong Kong show. Rough market cautious after De Beers sight, with boxes selling at lower premiums on the secondary market. Israel: Bourse was closed Sunday through Tuesday for Jewish New Year and will shut next week on Tuesday and Wednesday (September 18 to 19) for Yom Kippur. Trading in Ramat Gan quiet, with many suppliers exhibiting at the Hong Kong show. India: Dealers and manufacturers cautious due to high rough prices, reduced bank lending and weaker rupee. Many businesses closed on Thursday for Ganesh Chaturthi festival. US demand improving as retailers prepare for the holiday season. Dealers focused on generating leads in the Far East during Hong Kong show. Local jewelry sales stable. Hong Kong: Busy activity and steady traffic at the show. Few transactions in opening days as buyers assess prices and availability. Concerns about impact China-US trade war will have on consumer spending. Weaker yuan currency expected to affect tourist spending during October 1 Golden Week. Trading centers quiet during Jewish holiday period. Hong Kong show reflects uncertainty over US-China trade tensions, with Typhoon Mangkhut disrupting activity at the fair. Slower growth expected in 2H as Chinese consumer sentiment weakens ahead of Oct. 1 Golden Week. Steady demand for 0.30 to 1 ct., G-L, VS-SI diamonds. Rough market cautious, with lower supply for pre-Diwali manufacturing. Johan Dippenaar resigns as CEO of Petra Diamonds after FY sales +25% to $495M, loss of $203M vs. profit of $21M. The Rapaport Price List will not be published next Friday (Sep. 2 , and Rapaport offices will be closed on Monday and Tuesday (Sep. 24-25) for the Jewish festival of Sukkot. 18,96-karátový typ IIa Pink Legacy, patriaci rodine Oppenheimer, bude na predaj v Ženeve . Kameň je najväčší ružový diamant, ktorý mala Christie's v predajnej akcii . Odhadovaná predajná cena od 30 do 50 mil. USD. Kua už nemôžem míňať penziu čo mi prinesie poštár , nech mám do aukcie. Diamond market quiet over Jewish holidays and Hong Kong Moon festival. Mixed expectations for Oct. 1 Golden Week, as consumer sentiment reflects impact of US-China trade war and yuan currency depreciation (-9.5% since April 1 to $1/CNY 6.8 . India remains slow, particularly for low-value, small diamonds. Steady demand for 0.30 to 1 ct., D-J, SI, RapSpec A3+ goods. De Beers starts sales of lab-grown collection. Bonhams sees strong prices at NY auction, with emerald-cut, 23.13 ct., I, I1 Harry Winston ring selling for $444,500 ($19,217/ct.). 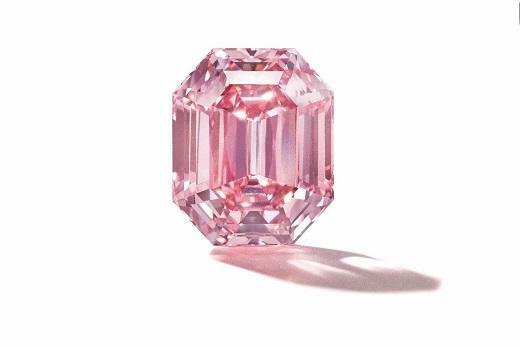 Christie’s expects $30M to $50M for rectangular, 18.96-carat, fancy-vivid pink at Nov. Geneva sale. Andrew Bone to step down as CEO of the RJC. Rapaport offices will be closed on Monday and Tuesday (Oct. 1-2) for the Jewish holidays. Fancies: Far East demand improving as Chinese consumers seek Pears and Princesses at better prices. US and European demand mixed. Ovals and Cushions are best sellers, followed by Emeralds and Pears. Marquises and Princesses weak. Oversizes selling well. Steady demand for fine-quality 6 to 10 ct. Ovals, Pears and Emeralds, with prices firming for 3 to 5 ct. due to shortages. US supporting market for commercial-quality, medium-priced fancies under 1 ct. Off-make, poorly cut fancies illiquid and hard to sell, even at very deep discounts. Publication of the global market comments will resume October 4. Market sentiment cautious, with prices softening as 1 ct. RAPI -1.1% during quiet third quarter. Industry expecting stock-market wealth will boost holiday buying, as Dow hits new high of 26,951 (Oct. 3). Hong Kong jewelers hoping for rise in Chinese tourist spending during Golden Week. Indian dealers concerned hike in polished-diamond import duty from 5% to 7.5% will raise costs and reduce local demand. Sotheby’s HK garners $40M (65% by lot), with step-cut, 5 ct., fancy-vivid-blue, VS2 diamond ring selling for $13.8M ($2.8M/ct.). Bonhams sells 5.03 ct., fancy-pink, VS1 diamond for $2.9M ($583,551/ct.). India August polished exports +20% to $2.2B, rough imports -11% to $783M. United States: New York trading slow as dealers return from Jewish holiday vacation. Larger wholesalers receiving steady orders as focus shifts to fourth-quarter season. Stable demand for 1 ct., G-J, SI-I1 diamonds for engagement ring market.D-F, IF-VVS goods weaker. Expectations rising for holiday sales, since consumer confidence hit 18-year high in September, according to the Conference Board. Belgium: Polished and rough activity relatively quiet. Dealers expect trading to pick up in coming weeks before India’s Diwali break. US orders improving. China demand cautious after Hong Kong show. Rough sentiment mixed, with low, single-digit premiums on the secondary market. Israel: Bourse reopened after eight-day Sukkot festival, but market relatively inactive. Dealers focused on US, with hope that orders will improve as the holiday season begins. 1 ct., G-J, VS-SI stable. Weaker demand for 0.30 to 0.50 ct., D-H, IF-SI diamonds. Rough prices softening. Dealers and manufacturers waiting for next week’s De Beers sight (Oct. 8 to 12) and subsequent Alrosa sale (Oct. 15 to 19) for better gauge of trading. India: Polished market slow, with few foreign buyers. Local dealers cautious due to weaker currency, tighter bank lending, and recent hike of import duty. Buyers focused on SI- to I1-clarity goods. Fancy shapes slow. Small manufacturers not buying rough, and reducing polished production ahead of Diwali break, which begins November 7. Hong Kong: Wholesale quiet. Local dealers shut for last week’s Autumn Moon festival and because Chinese buyers have taken vacation for October 1 National Day holiday. Jewelers buying less stock after yuan currency depreciated 3.7% in the third quarter. Retailers hoping for boost from Chinese tourists during the ongoing Golden Week. 0.30 to 0.50 ct., D-H, IF-VVS weak. 0.50 to 1 ct., D-H, VS-SI (3X, no-fluorescence) selling well. Polished trading back to normal after Jewish and Chinese festivals, but activity below previous Oct. levels. Expectations rising for US holiday season, with focus on improving omni-channel offerings. Retailers taking more goods on memo. Jewelers of America launching generic marketing campaign to boost consumer demand. LVMH 3Q jewelry and watch sales +10% to $1.2B. De Beers Jewellers 2017 sales -6% to $99M, net loss of $38M. Rough market cautious during De Beers sight due to weak rupee and tight manufacturing profits. Alrosa Sept. sales +8% to $332M, driven by large stones, while cheaper goods softened. Belgium Sept. polished exports -2% to $1.2B, rough imports -17% to $806M. United States: Steady bridal sales supporting market. A lot of memo deals before the holiday season. Consistent inquiries for 1 ct., G-H, VS-SI, RapSpec A3+ diamonds. Fancy shapes moving, with shortage of Ovals and improving demand for Radiants. Melee suppliers under pressure, having to resell at lower prices following rupee depreciation. Belgium: Trading stable and focused on goods below 1 ct. with GIA and HRD reports. Dealer activity cautious, with steady orders from jewelers ahead of the holiday season. Ovals and Pears selling well; demand growing for Princess and Cushion cuts. Rough market relatively quiet during De Beers sight. Israel: Polished slower than usual for this time of year. Focus on US orders, but not much excitement for upcoming Israel Diamond Week in New York (Oct. 15 to 17). Dealers seeing buying opportunities in weaker Indian market in select categories. Melee and stars slow, and 0.30 to 0.50 ct., D-J, IF-VVS goods remain soft. 0.70 and 1 ct. RapSpec A3+ stable. India: Slight improvement in trading, with more foreign buyers in Mumbai for Bharat Diamond Week (Oct. 8 to 10). Local dealers under pressure due to weak rupee (-14% since beginning of year to INR 74.27/$1 on Oct. 10). Smaller manufacturers closing factories early for Diwali as currency decline, bank caution and sluggish demand lead to tight liquidity. Some cutters also at risk after loaning to Surat textile company involved in $70 million bankruptcy. Jewelry sales improving ahead of Diwali festival, which begins Nov. 7. Melee weak and prices softening as rupee depreciation (-8% in three months to INR 73.53/$1 on Oct. 1 impacts Indian demand. Threat of undisclosed synthetics also influencing jewelers to avoid melee inventory. US orders and memo for 0.70 to 1.99 ct. diamonds supporting the market. Sears files for bankruptcy, highlighting need for retailers to innovate, improve in-store and online customer engagement, and refresh product offering for holiday season. Michael Hill 1Q sales -9% to $80M. Rough trading cautious, with De Beers prices estimated -1% at $475M Oct. sight. Rio Tinto 3Q production -17% to 4.9M cts. US government guarantees Stanbic Bank $125M loan for Botswana manufacturing. United States: Stable market as jewelers prepare for the holiday season. Prices for dossier goods firm, with dealers protecting profit margins after quiet third-quarter trading. Steady demand for 1 ct., G-J, SI-I1, GIA-graded diamonds. Smaller goods in uncertified parcels weak. A lot of items going out on memo. Belgium: Polished market soft, but dealers optimistic for November and December. Consistent orders for 0.30 to 1.50 ct., G-H, VS-SI goods. Small stones slow. Improvement in high-end diamonds above 10 ct. Rough activity cautious, with De Beers boxes trading at lower premiums. Israel: Sentiment weak due to low profitability and rising inventory levels. US orders stable, with high volume of commercial-quality goods on memo. Little excitement about Israel Diamond Week in New York (Oct. 15 to 17). Stable demand for 0.30 to 1 ct., F-J, VS-SI, RapSpec A3+ diamonds. India: Drop in sentiment amid rupee depreciation and Surat bankruptcy rumors. Small-scale manufacturers under pressure as domestic demand for under-0.25 ct. goods declines. Steady US interest in SI-I1 diamonds. Fewer foreign dealers in the market than during last week’s Bharat Diamond Bourse buying event. Jewelers cautious ahead of Diwali festival as weak rupee inflates gold prices. Hong Kong: Polished sector quiet and jewelry sales sluggish during shorter week that included the Chung Yeung Festival. Sentiment mixed, with some concerned about how US-China trade war and yuan depreciation could impact consumer demand and tourist spending. Encouraging initial reports about Oct. 1 Golden Week sales and ongoing wedding season. Tourist arrivals stable during busy holiday period. Polished trading improving, with US holiday orders driving sales. Buyers looking for bargains in Mumbai as weak currency and tighter bank lending put pressure on Indian dealers. Surat factories closing early for Diwali, with large inventories of melee and 30-pointers. Innovative jewelers gaining market share as JBT reports 226 businesses closed and 51 opened in 3Q. China/Hong Kong jewelry retail better than expected, with gold sales driving Chow Tai Fook 2Q double-digit growth. Rough trading slow. Alrosa sales volume -11% to 6.7M cts., production +2% to 10.5M cts. De Beers sales volume -28% to 5M cts., production -5% to 8.7M cts. Lucara to launch sales using Clara system. United States: Trading sluggish for this time of year. Single-stone market steady. Melee weak. Demand firm for large diamonds in lower qualities. High-end large stones stable. Jewelers preparing for holiday season, with a lot of goods on memo. Belgium: Positive sentiment amid pre-holiday season trading. 1 to 2 ct., G-J, VS-SI selling well to satisfy US and European demand. Fancy shapes stable, with Ovals and Pears the best sellers. Rough market cautious as inventory levels rise before Diwali. Israel: Market improving but there is concern that global slowdown and tight Indian liquidity will impact trading. Steady demand for 1 ct., G-H, VS-SI, RapSpec A3+ diamonds. Focus on US before holiday season, with Continental Buying Group (CBG) visiting Israel Diamond Exchange. Dealers to sell to Chinese consumers through AliExpress. Rough and polished buyers seeing opportunities in India as Surat manufacturers reduce production. Hong Kong: Slight boost in trading, with stable demand for 0.50 to 1 ct., D-H, VS-SI goods. Gradual shift to lower price points, with increasing orders for SI clarities and fancy yellows. Jewelers holding large inventory and avoiding bulk purchases due to unfavorable exchange rates. Retail sector steady, despite uncertainty over trade war and weaker currency. Myslím pre také momenty sa navštevujú výstavy v Číne . RAPAPORT ... čínsky e-commerce gigant Alibaba bude spolupracovať s Antverpským svetovým diamantovým centrom (AWDC), ktorý prinesie belgické diamanty čínskym spotrebiteľom. Prostredníctvom partnerstva sa tvar diamantov v Antverpách bude predávať výlučne na online trhovisku čínskeho maloobchodníka Tmall. "Čínski spotrebitelia milujú diamanty v Antverpách a Čína je druhým najväčším svetovým trhom pre leštený diamant," uviedla v utorok AWDC. Po výbere kameňa si spotrebitelia môžu nastaviť diamant podľa vlastného výberu, vysvetlil AWDC. Diamantová laboratórium HRD Antwerp osvedčí všetky kamene v kolekcii tvaru Antverpy a laserom vyrastie QR kód na každom kosoštvorte pred nastavením. Spotrebitelia môžu skenovať kód QR, aby sledovali diamantovú cestu z Antverp do Číny pomocou blokovej technológie platformy. "Chceme, aby spotrebitelia užívali svoje ohromujúce nové diamanty namiesto toho, aby sa obávali o kvalitu," povedal generálny riaditeľ HRD v Antverpách Michel Janssens. "Certifikáciou každého kameňa HRD Antverpy garantuje prirodzený pôvod kameňa, ako aj kvalitu jeho 4C, takže spotrebitelia dostanú presne to, čo očakávajú." Alibaba minulý mesiac podpísal aj dohodu s Richemontom, Platformy Net-a-Porter a pán Porter dostupné prostredníctvom spoločnosti Tmall. Čínska skupina elektronického obchodu tiež oznámila rozšírenú spoluprácu s Izraelskou výmenou diamantov (IDE), ktorá predávala svoje voľné kamene na Ali Auctione Alibaba. Pro jistotu, zde člověk niky neví, je to jen legrácka. Mnoho ľudí naletelo na kúpu a zhodnocovanie diamantov , hlavne zhodnocovanie!!! Určite je to možné , ale tam sa hrá trochu v iných objemoch . Polished trading slow as Indian market shuts for Diwali. Dealers focused on US orders ahead of holiday season, but hoping for boost from China’s 11/11 Singles’ Day. Alibaba expanding diamond and jewelry platform, enabling Belgian and Israeli suppliers to sell directly to consumers. US e-commerce expected to rise 15% in Nov.-Dec. Rough trading cautious ahead of De Beers sight as manufacturers hold large inventory during Diwali break. Alrosa cuts FY sales forecast due to weak small-stone demand, reports 3Q revenue +20% to $1B, profit +87% to $366M. US Aug. polished imports +16% to $1.8B. Israeli police arrest Leviev employees and relatives on diamond-smuggling allegations. United States: Dealers seeing slower activity than expected before the holiday season. A lot of interest in memo. Prices firm for certified diamonds, with steady demand for 1 ct., G-J, VS-SI goods. Melee market soft. Retail sales stable, but holiday traffic has yet to begin. Belgium: Trading sluggish for this time of year. Focus is on US, with good orders for 1 ct., G-I, VS-SI, RapSpec A3+ diamonds. Better Far East demand anticipated after Chinese buyers avoided inventory purchases in third quarter. Low-quality fancy-color diamonds weak, with a lot of available inventory. Rough trading quiet before next week’s sight. Israel: Active trading, with steady US market for 1 ct., RapSpec A3+ diamonds. Orders rising as Indian competitors take vacation. Some dealers focused on refining online offering ahead of China’s Singles’ Day festival. Prices for 5 ct., D-J, SI1-I1 firm at -25%/-31%. Solid fancy-shape demand for 1.50 to 3.99 ct. sizes. India: Market very quiet, with most businesses closed for Diwali. Factories expected to stay shut for two to four weeks, as dealers are stuck with large inventories over the break. Jewelers report encouraging sales during the festival, boosted by lower gold prices due to weak rupee. Hong Kong: Polished trading improving ahead of wedding season. Chinese retail sales robust, but wholesalers cautious due to currency uncertainties and trade tensions. Better demand from dealers in other Asian centers. Typhoon and geopolitics impacted Hong Kong October luxury market: Year-on-year sales of jewelry, watches, clocks and other valuable gifts up 2.2% to HKD 6.15 billion ($785 million), compared with 20% year-on-year growth for January-to-October period. Ten teď letí v Kalifornii a zdarma! Polished trading stable in 1 ct. and larger, with dealers optimistic for Black Friday and holiday season. Record Alibaba Singles’ Day (11/11) sales of $30.8B boost outlook for e-commerce, despite concerns US-China trade war will impact consumer spending. Rough market cautious. De Beers cuts prices of small, low-quality goods by 5% to 15% amid slump in demand for and prices of polished melee. Christie’s Geneva garners $110M (86% by lot), with rectangular, 18.96 ct., fancy-vivid-pink, VS1 diamond selling to Harry Winston for $50.4M ($2.7M/ct.). Sotheby’s Geneva Royal Jewels sale fetches $53M (100% by lot), with Marie Antoinette pearl-and-diamond pendant going for $36.2M. United States: Polished trading stable, but quieter than expected for this time of year. Dossiers steady; larger sizes above 3 ct. slow. Fancy-color diamonds for high-end fashion jewelry selling well. Retailers readying for Thanksgiving weekend (Nov. 22). Emphasis on omni-channel, with branded jewelers improving their interaction between online and in-store offerings. Belgium: Market flat, supported by solid, price-driven demand for dossiers. Dealers selling mainly to the US and China, with lower presence of Israeli and Indian traders. Good orders for pears and ovals. Buyers holding firm prices for top-quality goods. Cautious rough-market sentiment, despite drop in prices for small and cheaper diamonds. Israel: Dealers focused on filling US demand and specific orders from China. Steady interest in 1 ct., J-K, SI diamonds (3X, none). Strong market for 10 ct. and larger. Fancy shapes doing well, with 1.50 ct. pear shapes standing out as the strongest item. Leviev bribery allegations clouding sentiment. India: Trading quiet as dealers slowly return from Diwali break. Activity expected to pick up from next week. Surat factories to remain closed or operate at low capacity. Rumored bankruptcies, weak rupee and tight liquidity dampened dealer and retail sentiment during festival. Hong Kong: Mood improving. Wholesale market more active than in October, and dealers optimistic for busier trading as Chinese New Year season approaches. Rising demand for 0.50 to 1 ct., D-F, VVS and H-I, SI2 goods. Positive sentiment after Alibaba’s record online Singles’ Day sales, with jewelers preparing omni-channel offering for holidays.